For some time now I have been seriously captivated by the Barmen Declaration and the Confessing Church. I recently had the privilege of recounting how applicable this particular part of modern Church History is to our current, “post-modern” context. 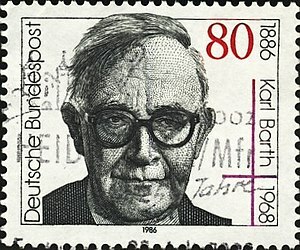 The principle author of the declaration was Karl Barth, who wrote it during a synod in the May of 1934 Barmen, Germany. 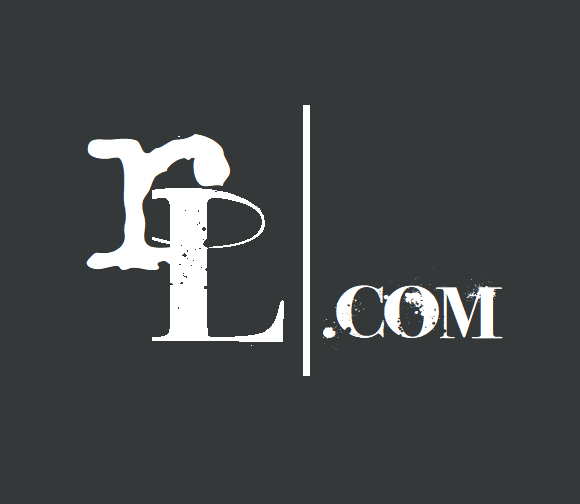 The Barmen Declaration was agreed upon and signed by members of the ‘Lutheran, reformed and united churches’ (2010:12). In his 2010 book ‘the Barmen theses then and now’, Eberhard Busch convincingly argues for its continuing relevance, by brilliantly illustrating the significance of the ‘Theological Declaration of Barmen’. The socio-political context was pre-world war two, Nazi Germany. The Confessing Church was formed in ‘protest against’ (Busch 2010:8) the Nazis and their Nationalist church movement (Nazi sympathisers), who rallied under the nationalist banner ‘German Christians’. According to Busch, the ‘German Christians’, as an organised majority, did this because the German church in the early 1930s were a community ‘struggling for its identity’ (2010:2). Consequently a large portion of Christians were easily manipulated by nationalist-socialist ideology (Nazism). Busch asserts that ‘Hitler’s hidden agenda was that the church should make itself superfluous, so that the state could become absolute ruler’ (2010:1).An example of this was the influence and practice of anti-Semitism, which manifested itself in November 1933, when nationalist-Christian’s decided ‘to purify the gospel ‘’from all Oriental distortion’. The result of this was that ‘they distorted the gospel message’ (2010:24). The Barmen declaration was a product of protest; it was and still is both a theological and political polemic for these reasons. Firstly, the Barmen Declaration was a protest against the ‘German Christians’ and their acceptance of the ideology of the State, University and State coercion forcing people into allegiance to it. Secondly, it was a protest against the aggressive policy that had merged the church with the state, by subordinating the church to the state. Thirdly, the ‘Barmen Declaration’ instructs the church through its confessional language and its contemporary relevance, to deal graciously with people who merge theology with ideology. Busch notes that ‘even when we say ‘’no’’ to their activities, we are still basically saying ‘’yes’’ to them thus loving them’, and all the while doing so firmly without obtrusion (2010:45). Barmen thesis one: salvation is through Christ alone. In context this means that any view which suggests that salvation could come through Hitler is false and therefore is to be rejected. This is because ‘Jesus is the one Word of God and the proper hearing of this Word takes place in trusting and obeying’ (2010:37)…‘The one word is the way upon which, and the door through which, God comes to us in his truth and in his life, comes as the light that overcomes the lie and as the resurrection that disempowers death’ (Busch 2010:23). There are no ways to God, there is only one way and it is from God to us founded and expressed entirely through, and in Jesus the Christ. Barmen thesis two: is about evangelical ethics. This is to be understood as ‘the one Word having two forms, gospel and law; God’s gift and command’ (2010:37). The ‘basis of evangelical ethics is not a program, not a principle, not a categorical imperative, but rather a person, Jesus Christ’ (Busch 2010:42). God does not ‘require of us the begrudging fulfilment of obligation but rather he expects of us our gratitude for the beneficence we have received’ (2010:44). In context this meant ‘obeying God rather than’ (citing Acts 5:29, p.42) an ideology or the consensus of the mob. Barmen thesis three: is about the ‘church struggle’ (2010:50) with ‘false doctrine’ (2010:52).This corresponds with the issue of placing ideology over against theology by separating the secular from the sacred. Busch understands this to be primarily about compromise. It means that ‘the church puts itself in jeopardy – whether in its retreat from the world into an interior space to attend to a sacral activity, or in its conforming to the world around it, to which it surrenders’ (2010:52). Barmen thesis four: concerns the priesthood of all believers. It proposes that the Church is not ‘reduced to its office bearers’ (2010:67) and therefore identified in isolation from the laity. This means that ‘the church cannot rule, and there shall be no ruling within it…to serve others does not mean to wait on them, but rather it means to be free for them, free to stand in support next to them’ (2010:66). Barmen thesis five: outlines the importance of maintaining the separation between Church and State. This pertains to the importance of the churches commission and mission. It must not be confused with the false division between sacred and secular. For example: ‘the more the church endeavours to be proper church, the better it can invite and encourage the state to be proper state’ (2010:84). Barmen theses six: the final thesis deals with ‘ecclesial arrogance’ (2010:94). To unpack this Busch differentiates between those who do not reject the word and those who seek to silence it. He rightly accuses those who seek to silence the word of ‘making the gospel an opiate of the people’ (2010:95)…‘sometimes demanding, sometimes smiling, they demand that the Word of God should bless and not disturb the arbitrary acts of humans’ (2010:95). This, Busch writes places the gospel ‘into the service of human interests’ (2010:93). ‘demonstrated just where the church ends up when it begins to conform its own order to the state’s wishes – the outcome is that not only the church’s order but also its message is conformed to those wishes’ (2010:74). With this in mind, the contemporary relevance of Barmen should be clear. Through Barth and many others, God has provided a reliable platform for today’s Church to frame a firm but gracious no, to a growing number of people, who seek to subordinate the Word of God and the church to an ideology. These include: Nationalism, ecclesial elitism, Islamic fascism, homosexual activism, militant atheism, environmentalism, nihilism and extreme feminism. Your lords are leaving, but our Lord is coming’ (cited by Busch 2010:72).